The plugin allows you to share more information with the buyer as part of the order or save the information hidden from the customer. 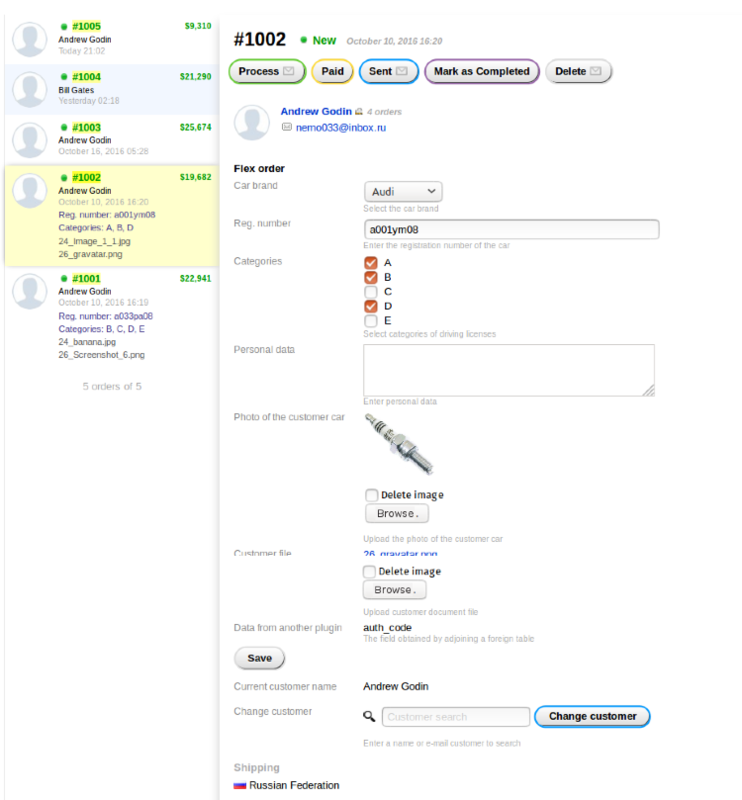 The plugin has a web form editor. For each form you can access settings for the user and the place where the information will be displayed. Just some of the fields can be shown in the order list. You can allow users to upload their files directly to an order or enter additional information. You can just show some information to the user without the possibility of change. For example to load some documents that he will be able to download in your personal account. Just plug-in allows you to replace one customer to another. 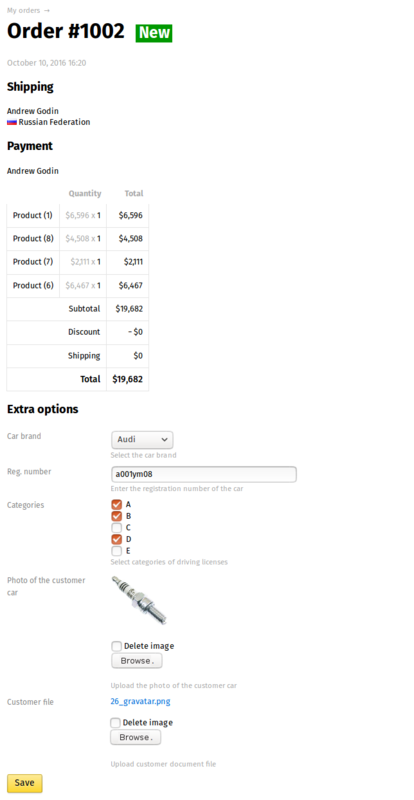 The plugin can also receive data from any of the tables with the order. This option is for advanced users, use it with caution. Keep in mind that you need to pay attention to the access settings for the customer. For example, if you specify the data provider, and specify the field as public, then the buyer will see this field in order. If you change the customer, its bonuses are not restated. 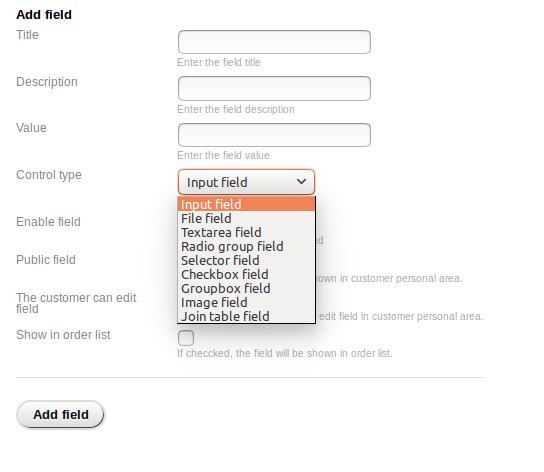 If the user does not have access to edit the fields, the data will be displayed just like information.